Taste of Wheaton, downtown Wheaton's signature event, will take place on Sunday, June 2 from 11:00 am to 5:00 pm. This family-friendly event higlights local restaurants and businesses, live music and entertainment, kids rides and more. Read More. Downtown Wheaton is home to a wide variety of shopping and services ranging from popular big-box retail and mom and pop businesses to a nationally renowned music center and baking supplies store. Read More. Downtown Wheaton is known for its great ethnic restaurants, many being top rated by Washingtonian Magazine, The Washington Post and Zagat. Explore the culinary delights downtown Wheaton has to offer. Read More. Downtown Wheaton sponsors and promotes many events throughout the year to showcase and promote the downtown area. Read More. Wheaton is alive with culture and arts! Musicians will be in heaven shopping Chuck Levin’s Washington Music Center, and stay to take a walk around the downtown to discover public art, take a dance class, or enjoy live music at a local restaurant. Read More. Just minutes from the nation’s capital, perfectly situated in the center of three major thoroughfares, and conveniently located on Metrorail’s Red Line, Wheaton is in the center of it all. From a world-class botanical garden, a nationally renowned music center, and one of the region’s largest shopping centers; to specialty shops, award-winning restaurants, and outdoor events, Wheaton boasts activities and attractions that are as eclectic and diverse as its residents. And with revitalization in progress and major growth on the horizon, Wheaton is the ideal location for businesses, residents and visitors alike. Our award winning Tea Spa serves customer all around DC metro area since 2010. We make sure that each customer enjoys a highest level of relaxing experience with an affordable price. 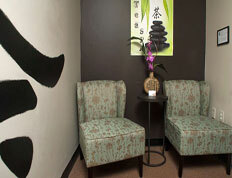 Our services include: Massage, Facial, waxing, Infrared Sauna. We also provide couple packages, and premier packages. 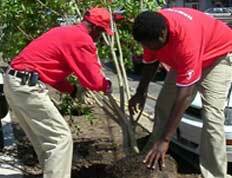 The Clean and Safe teams (recognizable by their red shirts) provide landscaping, maintenance and concierge services to the businesses and patrons in the Urban District. Their goal is to make Wheaton a better place to live, visit, and do business by improving the appearance of the downtown and fostering a safe and inviting environment.